Rumpelmintz is gone. My friend Barb used to say “Rumpelmintz is too stubborn to die.” I guess she was right. In the end, we did have to give her a little help. It was time, and she needed to be told it was okay to let go. 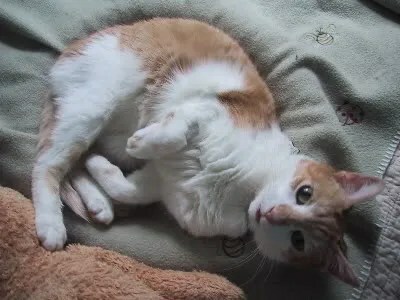 Kitty.com has left us today. She fought a valiant battle, but she looked tired and ready to go. I assured her she could rest now, and left her in the incredibly compassionate and capable hands of Dr. Olsen. Kitty.com seemed unsure for just a moment, before tucking her sweet face into Dr. Olsen’s chest, ready for her battle to end. Unfortunately, I’ve had a few conversations with friends recently about substances toxic to cats. One general rule of thumb – if you don’t know for a fact that something is NOT toxic to cats – assume it is! I lost Jellybean today. 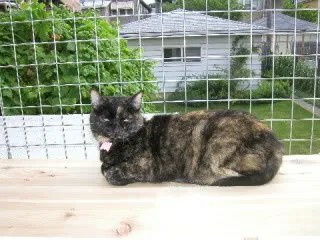 Jellybean was my firecracker, with lots of “tortie-tude”. The spark of that firecracker has sadly gone out. Most of the time, I do really like cats. But you know, sometimes I don’t. Sometimes the cats drive me BONKERS. When a caregiver contacts me regarding a cat having difficulty breathing, coughing fits, and/or wheezing – my first guess is asthma. My second guess would be heart disease. 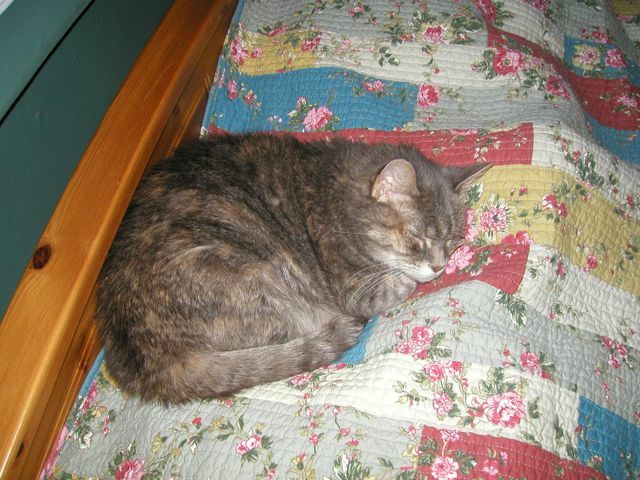 Then again, it could be as simple as an upper respiratory infection (the cat’s version of the common cold.) There’s not a lot you can do for a cold – but if it’s progressed to bronchitis/pneumonia, an antibiotic would be appropriate. Obviously, the first step is to get the cat to a vet. Any cat having difficulty breathing should see a vet IMMEDIATELY! I’d start with a chest x-ray. In the case of asthma, treatment is generally two-fold. Inhaled medications are VASTLY preferable to injected (or oral). Inhaled medications obviously target the respiratory system. Therefore, they have fewer systematic side effects. Injected or oral steroids can cause diabetes and attacks of acute pancreatitis.